The enjoyment that a gig generates is not simply based on the performance of the band(s) on stage, but rather a more complicated mixture of performance, venue, personal mood, and behaviour of your fellow audience members. If any one of these aspects can is out of kilter then the gig is just that, a gig, when it has potential to be something special. 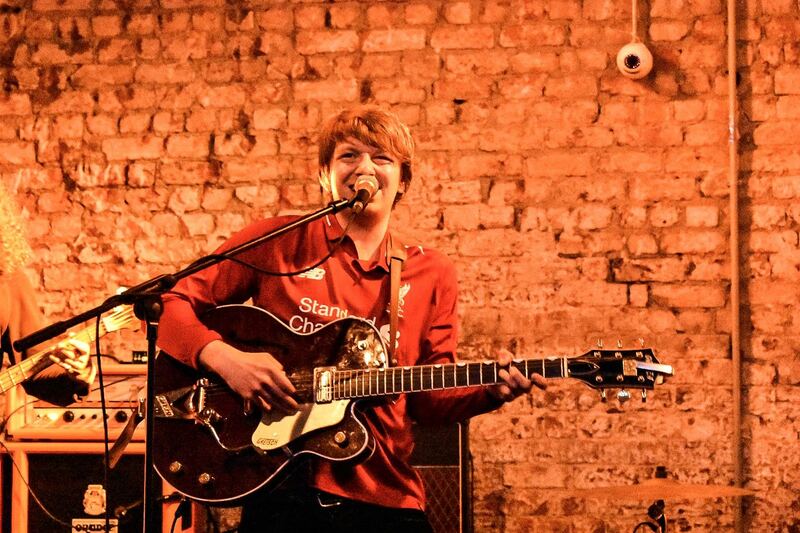 On a balmy Monday night at Buyers Club in Liverpool, I was fully prepared for just a gig, but instead, I found the gig I was looking for without knowing. 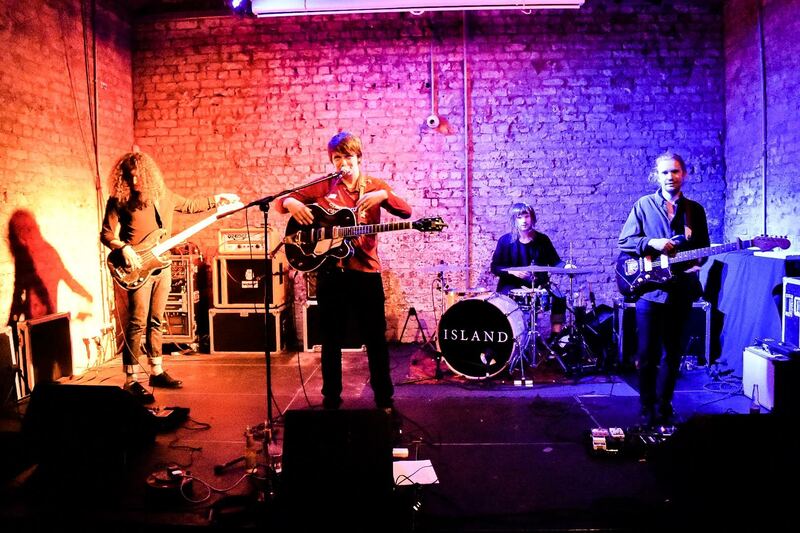 Island have been a massive favourite of Popped Music, and in particular, our editor Elena, since they first hit the scene, so there was a lot of expectation on my behalf as I trust Elena’s taste even if we often disagree on what to choose to listen to on Popped Music road trips. The boys performed admirably under this intense pressure that they knew nothing about. I was beyond impressed with them. They were tight, relaxing and tuneful, yet had enough aggression and power within their sound that I didn’t feel a beanbag would be required for maximum enjoyment. The singing of Rollo Doherty was much gruffer than the voice used during the patter between tracks. In fact, the mix of concrete and candy in his larynx took me back to the late nineties and one John Power. In my opinion, a frontperson who does not give a shout out to their band members is missing a trick, and Rollo did not disappoint on that. There was a healthy dash of showmanship as he introduced each band member and allowed them to conduct their own solo in response. Such behaviour reminds me of the old school greats like Tony Bennett and should always be applauded. Island have a great collective balance too when performing. Whilst there is energy on the stage at no point does it feel overbearing or demanding, nor does the performance stop you from toe tapping. It can be hard to find that middle ground, but when it happens like this, you feel completely at home in the room. As though suddenly a band have started up in your living room. You could not help to find Island an absolute pleasure to watch. Another absolute pleasure was the support act Club Kuru. As they started up my spidey-senses started to think this was going to be a bit of indie jazz, but instead we had some perfectly laidback summer sounds. It felt perfect on a warm evening like an ice cold Coke from a glass bottle. It was a sweet night at Buyers Club that will hopefully set the scene for the summer season of music. If so, it’s going to be a more than just a good one.